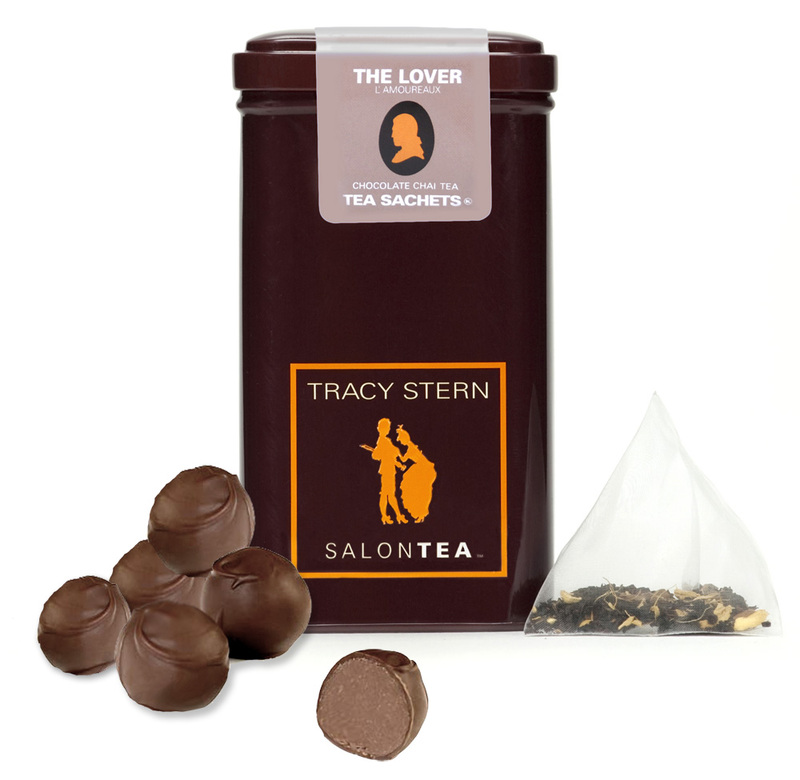 We heart the idea of seducing your loved one this Valentine’s Day with the sensuous pairing of warm tea served with sweet tea-infused chocolate truffles, made with Tracy Stern Salontea, The Lover, a Chocolate Chai tea. This tea blend is a natural aphrodisiac, not to mention that the art of pouring tea is incredibly sensual! Tea has been a drink of seduction throughout history: many love affairs began over meeting for tea and ended as the greatest love stories of all time. We’re pretty confident that you will love this delicious V-Day treat! Put chocolate in a bowl and strain the cream mixture through a sieve over the chocolate: discard the tealeaves. Whisk the chocolate and cream mixture together until smooth, chill for approximately 2 hours until mixture is firm.